We Specialize in Residential and Commercial Repairs. Thank you for visiting our website. Richardson and Son Construction, Inc. is a locally owned business, which has over 25 years of general construction experience. We have worked for several national homebuilders in the DFW Metroplex, the City of Dallas Home Remodeling Program for Senior Citizens, and the DFW Housing Authority (HUD). We have completed numerous residential and commercial construction projects. 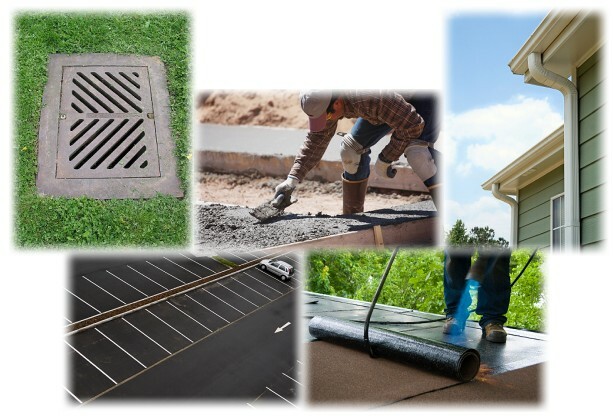 We specialize in repairs and replacements for the following construction services: roofing, painting, gutters, drainage control, concrete, asphalt, and brick and stone. Richardson and Son Construction, Inc. is a member of the Better Business Bureau of Dallas and Northeast Texas with an A+ rating on customer services and the North Central Texas Regional Certification Agency. We pride ourselves on providing quality work and dependable service. We provide written warranties on all of our services. If you are in need of any of our construction services, please contact us. We look forward to serving you.